Start your amazing day after 3:00pm on day 1 and continue on an all-day adventure on day 2! Book now and receive you e-ticket in seconds! Don't miss out on the One Day USJ Ticket and USJ Express Pass for fast track entrance to attractions! 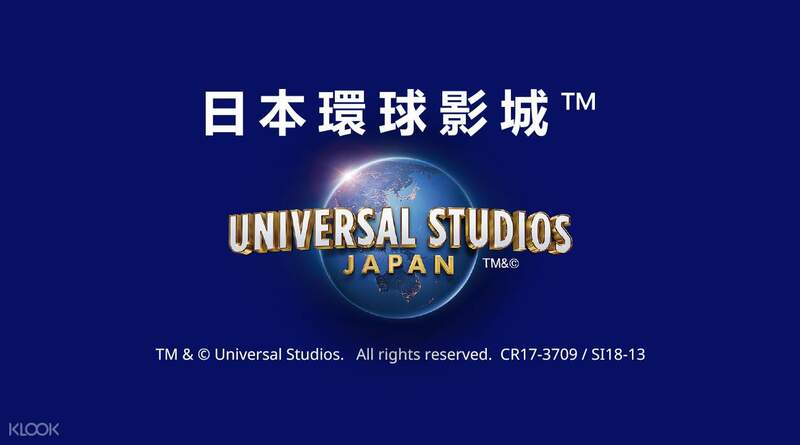 Check out the Best Ride in Universal Studios Japan Guide for maximized fun! It's very easy to enter the park, just print the voucher and scan it at the entrance gate. No need to go to OCAT to exchange it for a physical ticket. Enter the amazing worlds brought to life by the world's biggest blockbuster movies with this one and a half day ticket to Universal Studios Japan in Osaka! Get fantastic value tickets to USJ and extend the fun with admission from 3:00pm on your first day, and a full day of fun on the following day. Lose yourself in the magic and splendor of the Wizarding World of Harry Potter, the park's most famous attraction, and get a taste of life as a wizard! Keep yourself from losing it when you head to Minion Mayhem Area, the world's largest and craziest park, with a great gift shop for minion lovers everywhere. A fan of Japanese animation? See the worlds of One Piece, Dragon Ball, and more of the world's most famous titles come alive as you meet their characters within the park. All these and more of some of the world's most state of the art thrill rides and attractions in the one theme park in Japan that you shouldn't miss. Step into the biggest and most famous of Japan's theme parks for one and a half days! Experience the wild world of Minion Mayhem, the largest minion attraction in the world! Best way to enjoy USJ. The 1.5 day pass allows you 2 evenings to separately enjoy the Night Parade and the Wizarding World lightshow, which occurs at the same time. You can use a day to catch the street performances, shows, and meet & greets, and leave the other day for rides. Allows you more time to relax and enjoy instead of rushing around trying to do everything in a day. Best way to enjoy USJ. The 1.5 day pass allows you 2 evenings to separately enjoy the Night Parade and the Wizarding World lightshow, which occurs at the same time. You can use a day to catch the street performances, shows, and meet & greets, and leave the other day for rides. Allows you more time to relax and enjoy instead of rushing around trying to do everything in a day. entrance tickets + express passes for 2pax cost me total more than SGD600, but worth it for all the experiences with the attractions & activities & rides that USJ offered. Merchandises though not cheap but at least there were different varieties. Overall worth going USJ at least once! entrance tickets + express passes for 2pax cost me total more than SGD600, but worth it for all the experiences with the attractions & activities & rides that USJ offered. Merchandises though not cheap but at least there were different varieties. Overall worth going USJ at least once! USJ was the last leg of our trip and i'm so glad I purchased the tickets in advance with Klook. We had no issues using our printed out passes at the entrance gate. Although the park was crowded, we also purchased express passes through klook and they were so convenient! We had more time to visit the entire park!! It was such a great experience for the entire family! USJ was the last leg of our trip and i'm so glad I purchased the tickets in advance with Klook. We had no issues using our printed out passes at the entrance gate. Although the park was crowded, we also purchased express passes through klook and they were so convenient! We had more time to visit the entire park!! It was such a great experience for the entire family! E Ticket is in the voucher and we just need to scan the QR code to enter USJ, very easy... save time queuing for tickets at the kiosk. We cover all the rides that we intend to go and cover every corner of the park with this 1.5 day pass. E Ticket is in the voucher and we just need to scan the QR code to enter USJ, very easy... save time queuing for tickets at the kiosk. We cover all the rides that we intend to go and cover every corner of the park with this 1.5 day pass. - flexible date tickets - reasonable price for 1.5 days - Enough time for experience the park especially in regular weekdays --but.. I went there 23-24 dec(holiday) so it's kinda crowed and quite long wait time u may still need to buy the Express pass if you wanna experience every ride especially the popular ones including having time left for the winter special show. If you don't mind missing some main attractions, it would be totally ok without Express Passes - easy for picking up live tickets at "JR" Namba air terminal (don't confuse with NANKAI station it's not in the same location) - have a wonderful time in Winter (X'mas ❤️) with really great seasonal shows and decorations - most of the team members working at USJ are very lively, helpful, nice and friendly. PS. Recommend to read carefully about the entry time and consecutive day regulations for this special 1.5 day pass. - flexible date tickets - reasonable price for 1.5 days - Enough time for experience the park especially in regular weekdays --but.. I went there 23-24 dec(holiday) so it's kinda crowed and quite long wait time u may still need to buy the Express pass if you wanna experience every ride especially the popular ones including having time left for the winter special show. If you don't mind missing some main attractions, it would be totally ok without Express Passes - easy for picking up live tickets at "JR" Namba air terminal (don't confuse with NANKAI station it's not in the same location) - have a wonderful time in Winter (X'mas ❤️) with really great seasonal shows and decorations - most of the team members working at USJ are very lively, helpful, nice and friendly. PS. Recommend to read carefully about the entry time and consecutive day regulations for this special 1.5 day pass. One day at USJ is just not enough. The best rides are Harry Potter and the Forbidden Journey, The Amazing Adventures of Spider-Man 4K3D, Minion Mayhem, and Jaws. Don’t forget to pick up your timed entry into Harry Potter’s Wizarding World located near the centre of the park before you do anything else. One day at USJ is just not enough. The best rides are Harry Potter and the Forbidden Journey, The Amazing Adventures of Spider-Man 4K3D, Minion Mayhem, and Jaws. Don’t forget to pick up your timed entry into Harry Potter’s Wizarding World located near the centre of the park before you do anything else. The 1.5 day USJ pass is good. We entered the park around 4.45pm but it started raining around 5pm...We went to Harry Potter as the first stop and only waited around 20mins in the regular queue (we are so lucky!) We went on to a few other rides eg spiderman in the rain till the park closing near 7pm. Continued the 1.5 day USJ pass the next morning and was able to complete most rides (those that we wanted to try even with the longer queues as expected for daytime). 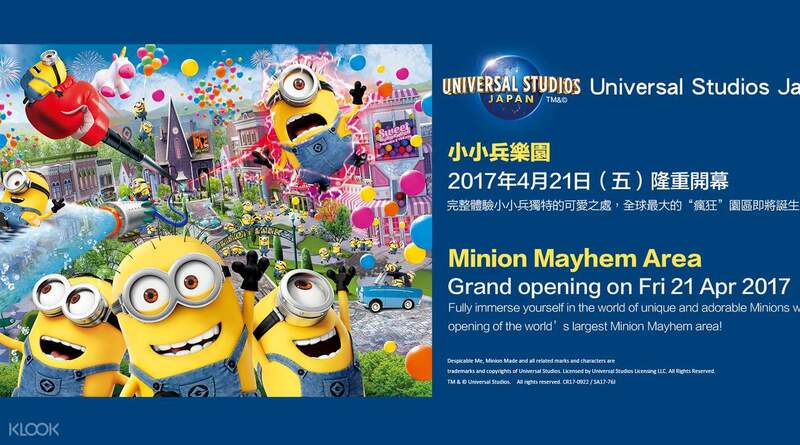 would recommend this 1.5day USJ pass! Only downside was that it mentioned we could present either a printed or mobile voucher on the 1.5day USJ pass description summary - we only found out at 3pm right in front of USJ gate that we had to collect physical USJ tickets from designated pick up location either at KIX Airport or Namba (airport was too far, hence we went for Namba). This was the reason why we entered USJ late around 4.45pm. Good thing is that the OCAT at JR Namba Stn is easy to find and the exchange for the passes is smooth and easy. The 1.5 day USJ pass is good. We entered the park around 4.45pm but it started raining around 5pm...We went to Harry Potter as the first stop and only waited around 20mins in the regular queue (we are so lucky!) We went on to a few other rides eg spiderman in the rain till the park closing near 7pm. Continued the 1.5 day USJ pass the next morning and was able to complete most rides (those that we wanted to try even with the longer queues as expected for daytime). would recommend this 1.5day USJ pass! Only downside was that it mentioned we could present either a printed or mobile voucher on the 1.5day USJ pass description summary - we only found out at 3pm right in front of USJ gate that we had to collect physical USJ tickets from designated pick up location either at KIX Airport or Namba (airport was too far, hence we went for Namba). This was the reason why we entered USJ late around 4.45pm. Good thing is that the OCAT at JR Namba Stn is easy to find and the exchange for the passes is smooth and easy. We have such great time at USJ with 1.5 day pass, we managed to catch many rides including the popular rides such The Flying Dinosaur, Hollywood Dream - the ride and Harry Potter and The Forbidden Journey, Despicable Me Minion Mayhem. Just remember to pick up your pass at Namba OCAT before proceeding to USJ. Thank you Klook for this! We have such great time at USJ with 1.5 day pass, we managed to catch many rides including the popular rides such The Flying Dinosaur, Hollywood Dream - the ride and Harry Potter and The Forbidden Journey, Despicable Me Minion Mayhem. Just remember to pick up your pass at Namba OCAT before proceeding to USJ. Thank you Klook for this! Thanks Klook for another hassle-free transaction!👍 H.I.S. is conveniently located in the arrival hall. Be sure to check the crowd calendar for USJ so you'll know if you need to get the express pass. 1.5 day ticket pass is definitely worth the price. Thanks Klook for another hassle-free transaction!👍 H.I.S. is conveniently located in the arrival hall. Be sure to check the crowd calendar for USJ so you'll know if you need to get the express pass. 1.5 day ticket pass is definitely worth the price. Very worthwhile to go for 1.5 days ticket. Especially with kids. On the first day, we entered (at 3pm), we did our favorite rides first. And then stayed up until the end to watch the parade. We had a fun time! Very worthwhile to go for 1.5 days ticket. Especially with kids. On the first day, we entered (at 3pm), we did our favorite rides first. And then stayed up until the end to watch the parade. We had a fun time!